When browsing through BestCasinosCanada.com you can find an abundance of credible, play-worthy casinos which accept Canadian players. From new online casinos which show all the positive signs of future market leading sites to established well-known brands like publicly traded Mr. Green or William Hill which has been operating as a UK bookie for more than 80 years. Sadly though, not all online casinos are honest. The industry is filled with operators who are in it to make a quick buck and disappear. Although the casino industry is highly profitable, some companies don’t settle for the fact the house always wins, and try to earn more money via different schemes, scams, and malpractices. Don’t let this discourage you from online gaming. While we recommend using caution when choosing an online gaming site, at the end of the day most casinos abide by the rules and requirements of the gambling regulatory bodies, and use fair software providers like Microgaming, Net Entertainment and Playtech. How do dishonest casinos operate? Lack of fair gaming: Casinos that use obscure gaming platforms which aren’t tested and licensed properly, and aren’t regulated by any authority (and thus, their game-play winnings are not audited by a third party that confirms the fairness of play). Casino bonus fraud: Some casinos which offer welcome bonuses or other forms of bonuses, but in fact, offer lower bonuses than advertised (or no bonuses at all). Not paying back winnings: Some casinos will try to make the process as difficult as can possibly be to discourage players from withdrawing winnings, and some will simply refuse to pay back using odd excuses. Lack of privacy: Many casinos sell your private details to other other online casinos, so they can advertise to you. In most cases, you would only know this in-retro, as casinos usually sell their client lists after they shut down. Lack of response: When a casino’s customer service cannot be reached, players are “stuck”. They can’t deposit or withdraw for prolonged periods. False advertising: Casinos which claim to have features or traits they actually don’t possess. Some rogue casinos claim to have licences in remote jurisdictions which don’t even offer gaming licenses! Stolen software: Some casinos simply “rip-off” existing software instead of applying for a license. This results in games that appear to be genuine, operating on a different, untested, gaming engine. Not paying business partners: Affiliate websites, like this one, are making their earning via the referral of clients to gaming operators. When casinos aren’t paying their closest business partners, it is only reasonable to believe they wouldn’t pay their clients. Online casinos offer a great opportunity to casino players who wish to experience the thrill of gaming without the need to travel. There are a lot of great casinos which have been operating in an impeccable manner for years now. 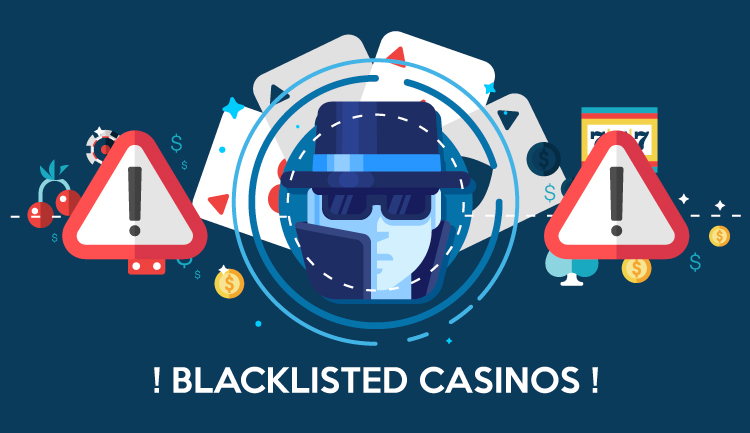 There are plenty of dishonest casinos as well that will steal or withhold their clients’ money, tune down the payout percentages, advertise false terms, or stop paying their business partners. Be very selective about the online casinos you decide to play with, and use website like ours to find the best online casinos in Canada. Happy gaming.